"The hole could be a couple inches bigger on each side, so it fits in better," my dad said holding a shovel in two hands and staring into the hole. "He. I think it fits him pretty well." 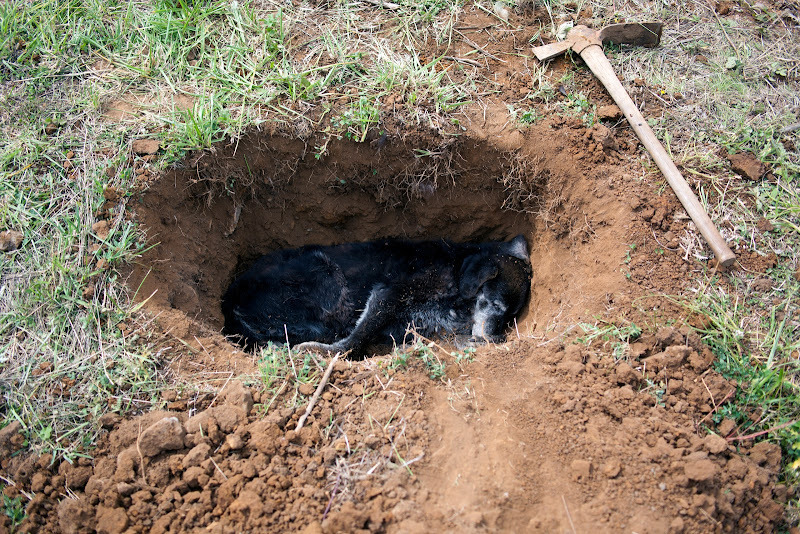 After a long pause, Tim added, "He sure loved to dig." I never thought in advance about what to do after Skookum, my childhood dog, died. My energy and stress focused on fear of losing a dear friend of the last 16 years and closing a chapter of my life. Logistics of the aftermath fell within the lee of the stone. The size of the hole or what my brother and I were going to dig with didn't come into consideration until after I had pulled out of the animal hospital parking lot. Unavoidable details erode preconceived notions of what an experience will be like. They make a story powerful and life real.